J. Grady spent 15 years as a family physician with a large obstetrical and pediatrics practice. During that time, he served as Chairman of the Dept. of Obstetrics and Chief of Staff at Glades General Hospital. One of the first to oppose and expose the anti- life movement, Dr Grady was founder and first State Chairman of the Florida Right to Life Committee. He is National Chairman of Americans for the Right to Life. 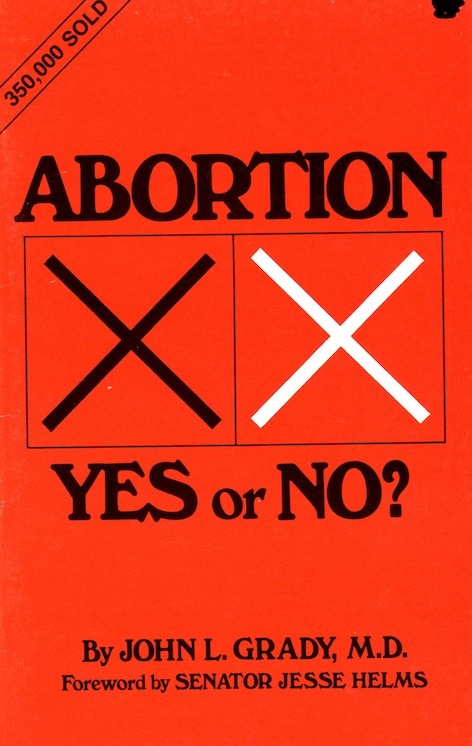 Because abortion, right or wrong, is a very serious matter, an objective unemotional analysis of the subject is in order. This treatise contains definite opinions, to be sure, but supported by reason and fact, hopefully to your satisfaction. There are no misquotes, altered data, or intentional misrepresentations of any kind. The conclusions and summaries herein are supported by logical arguments and reliable opinions from respected authorities in various fields.